Do you frequently try to get your way, even after you have been told you can’t? Is NO a hard word for you to accept? Are you aware that if you’re trying to change someone’s mind or behavior you’re being manipulative? Accepting the word “no” is part of having healthy boundaries. When someone tells you no, then the answer is no. Don’t use manipulation to get your way. You can’t always get what you want. You have to accept other people’s boundaries to maintain your power and their respect. The more you try to manipulate someone, the more you push them away. I know it’s very scary not to be able to control things—especially when they affect your safety. But you need to stop being your own worst enemy. Push the pause button and take care of you. You will be much more attractive if you maintain your power and act compassionately. 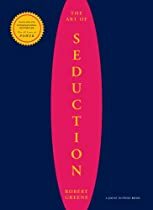 The Art of Seduction is all about how to manipulate people to get what you want. I’m recommending it as a guide to recognize what NOT to do. Playing games in a relationship doesn’t work either. Games create competition, and a winner and loser. Playing games is manipulative and a way to avoid intimacy. Some people think game playing does make things more interesting. It’s considered cool if you “have game”. But interesting doesn’t mean healthy. Game playing is usually a symptom of insecurity, fear, and immaturity. Empowered adults don’t sabotage their relationships by playing games. The best way to change someone else is to change yourself and hopefully change the way he responds to you. Do something nice for him or her. Give him a positive reason to appreciate you. 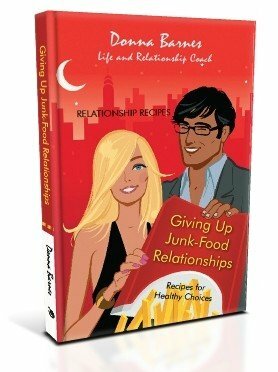 If you try showing your partner loving behavior and it doesn’t get his attention, then get rid of him — he is junk-food.